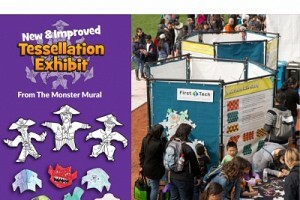 A Monster Mural brings so many things to your event site. 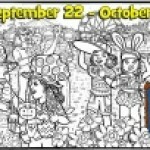 It's a Life-Size coloring book page, for the attendees to paint/color during your event. 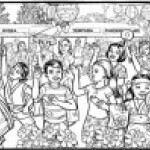 It brings a little childhood back to the adults at your event, and give the kids coloring on a scale they've never seen before!It's a great way to interact with your attendees in a wholesome, warm-and-fuzzy way. It's a great way for event sponsors to "activate" their sponsorship. It's cute, it's colorful, it's eye-catching, and it keeps people around! It's a great way to amplify the event theme. We have hundreds of themes available, and if we don't, we can create it for you. Some people say "kids don't color anymore." We think they absolutely will. And so will everyone else at your event. So give us a try! We have thousands of characters, animals, buildings, etc. to use in your mural. For most of our products, you get to pick and choose any items you'd like--from any or our designs. 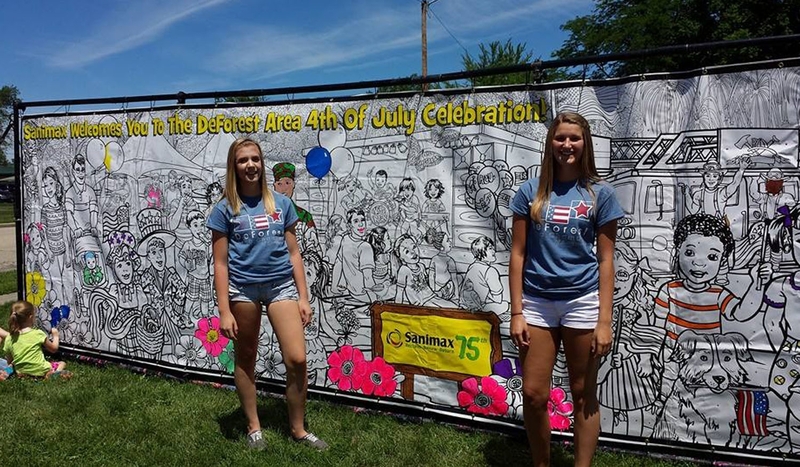 Advertise YOUR Event With A Mural At Another Event! We take most orders for most of our products over the phone at 801-296-6644. You can order Uncustomized Table Sheets online! Add them to your cart in the Design Search. We work with Canadian clients all the time. All products are available, including stand rentals. 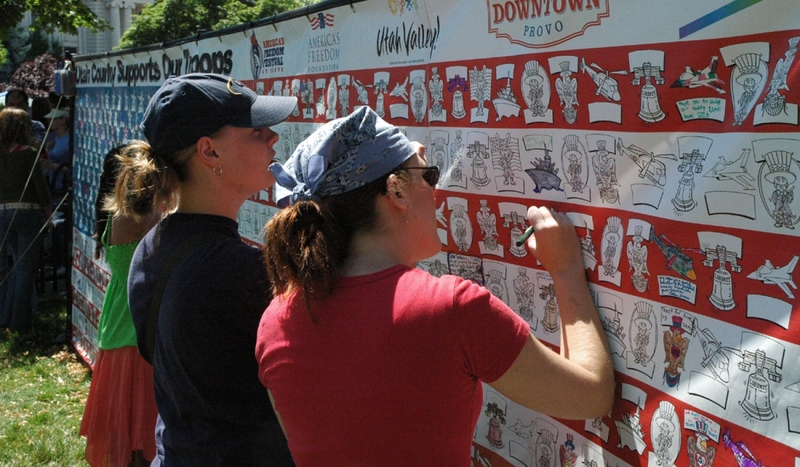 Event coordinators and attendees ---Instagram photos of your mural fun for a chance to win! More details coming soon. These have been a huge success in our facility so we look forward to getting MORE! Everyone was ecstatic. 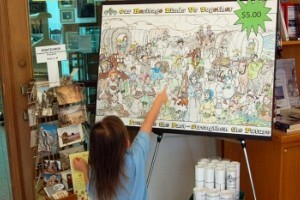 The set up was easy, the kids enjoyed coloring…thank you again! The client was thrilled as were the children. I had no idea the colouring wall would be so wildly popular and it truly was a sight to behold because there were always so many children participating. Thanks again for all your help! …extremely easy to work with. 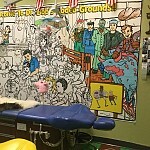 They did a great job on our custom mural and it has been a huge hit in the play area. The mural went great! We'll definitely keep you mind for any of our future family friendly or child focused events. Great addition to the event, and came out looking great! The mural has been a big hit, as usual! 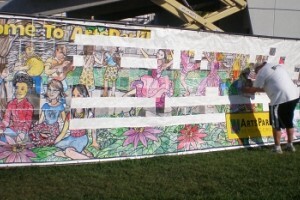 The message board mural was a HUGE success! I think we hit upon the right format for our event. It's been a huge hit! The "mural and stickers" program came out great! It worked out great. Huge success with the crowd. 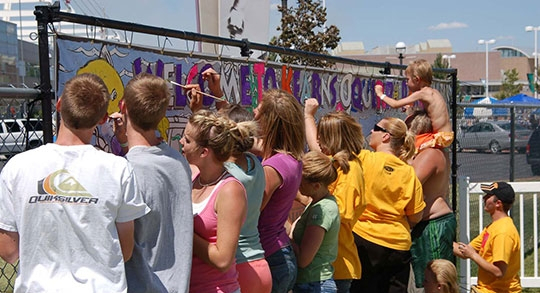 When you put up a Wall-Size Mural at your event, people of all ages at attracted to come and paint or color for a bit. It's sized so it takes hundreds of people all day to finish. Its great "eye candy" for your event site. And it's a great sponsorship activation! Click the Learn More to see the different material types we have for different situations. 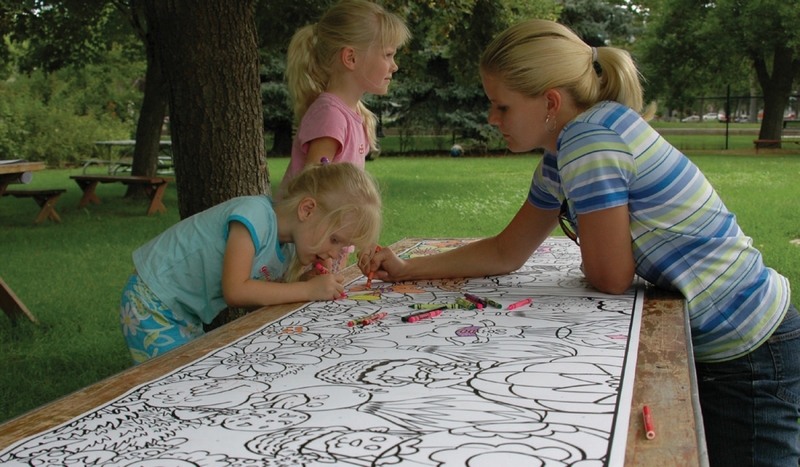 Our Table-Size Sheets are inexpensive solution for a smaller, easier to manage coloring activity. Put them on a table top, or tack them to a wall for easy coloring fun! You can choose from quick and easy stock designs, or have us customize a design just for your event. Give everyone at your event an opportunity to share a sentiment, write a message, declare their support, share their actions, or declare "I was here". 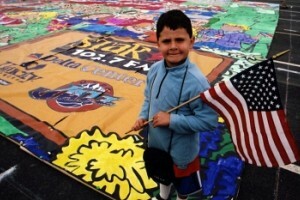 At the end of the day, you have a immense melding of the sentiments of the crowd, in a festive, colorful banner.